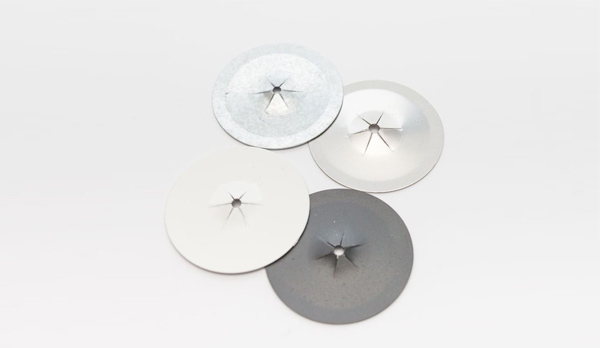 Self Locking Washers are used in connection with lacing anchors, weld pins to fasten insulation blankets or covers in place, Just press the self-locking washer onto the pin up to the insulation materials until the desired position is reached. 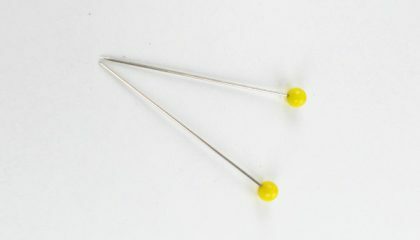 Then clip off, (or bend over) the remaining portion of pin for a permanent attachment. 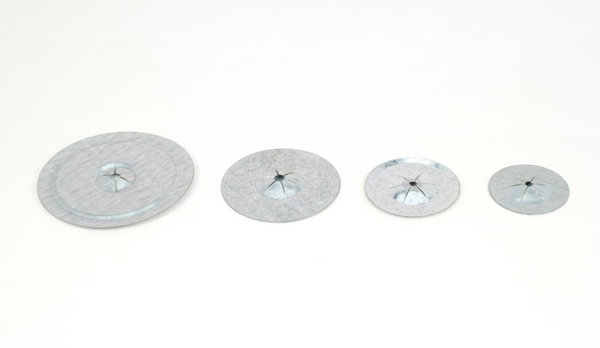 Self-Locking washers are used with Capacitor Discharge (CD) pins and Insulation Hangers. Washers are available in 10G and 12G and 14 GA Inner diameter. 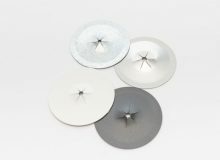 Washers in both sizes are 1-1/2” on the outer diameter and made of stainless steel. Self-Locking round washers are a great fastener to keep insulation in place and offer a profile that minimizes tears in insulation facing. (Minimum Quantity is 25 pieces. pictures are for reference only). INSL Stud Welding Self-Locking Washers are available according to the chart below and with standard 10 GA, 12 GA, or 14 GA hole sizes off-the-shelf. 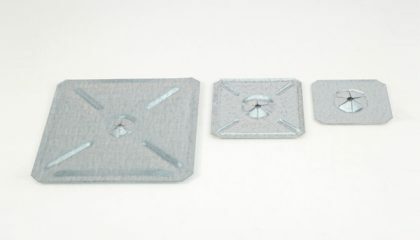 Other material/plating combinations and hole sizes are available by special order. 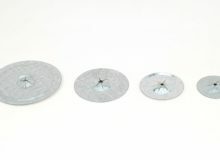 Both Round or Square self locking washers are available as a matter of design or application preference. 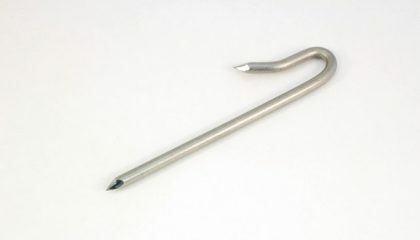 the domed, multi-lanced hole design provides for ease of locating washers on pin and positive locking. Most styles of washers are manufacturered with a beveled edge to prevent the washer from cutting into the insulation facing.